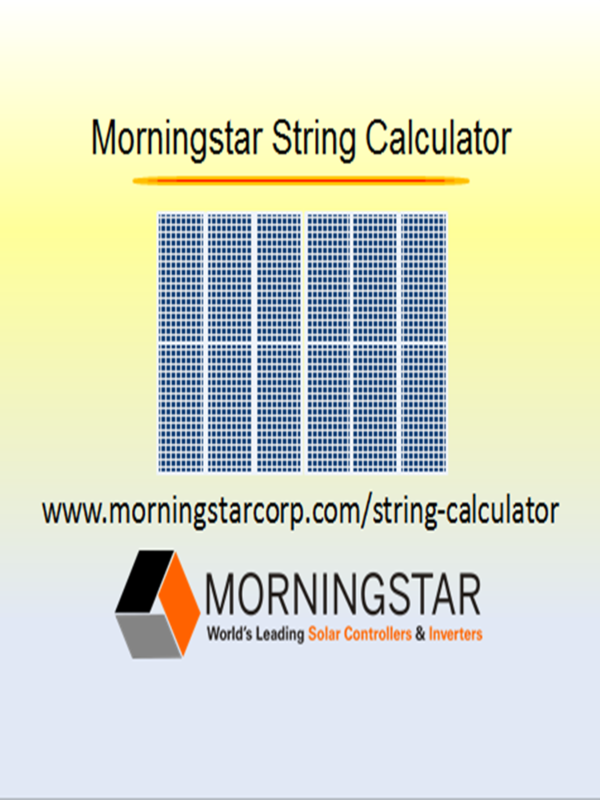 Morningstar Corporation is exhibiting at the 2019 altE Solar Conference on February 11-13, at the Devens Common Center in Devens, MA. As part of the conference, Morningstar will present its advanced charging solution: the breakthrough MultiWave High-Frequency Inverter. Morningstar will be exhibiting at the 11th AEE Solar Dealer Conference at the Hyatt Regency Mission Bay Resort in San Diego from January 23-25. In addition to displaying the Morningstar portfolio of solar charge controllers, inverters and accessories, participants can stop by our booth to learn more about the 4kW MultiWave™ inverter-charger for off-grid power and backup/UPS. Morningstar Debuts an Innovation Newtown, PA, June 19, 2018 –On its 25th anniversary in renewable energy leadership, Morningstar Corporation announced three “breakthrough” product initiatives designed to set new industry standards in three areas: system power, size/scale, and intelligence. With 25 years of renewable energy leadership behind it, Morningstar Corporation is firmly focusing on the future of solar by adding new game-changing products and three new faces to its sales and marketing team, to extend the brand’s reach into power conversion products and systems. From February 14-16, Morningstar will be exhibiting at the 7th annual altE Dealer Conference in Devens, MA. In addition to displaying the Morningstar portfolio of solar charge controllers, inverters and accessories, a presentation about the new 4kW MultiWave™ inverter-charger for off-grid power and backup/UPS will be delivered on February 15th. The Morningstar EcoBoost solar charge controller provides off-grid battery charging for residential and recreational use. Morningstar will be exhibiting and participating in Phaesun’s Off-Grid Experts Workshop from September 27-29 at Stadthalle Memmingen, Germany. At 12 noon, during the September 27th Tech day, Morningstar will be presenting remote monitoring solutions and the new ProStar Gen3 controller. Morningstar will exhibit at Solar Power International (SPI) on September 11-13 at Mandalay Bay Convention Center in Las Vegas, NV. Attendees are encouraged to stop by Booth #1872, to check out a live demo of the soon-to-be launched EnVision™ cloud-based site manager. Many of Morningstar’s Technical Sales Engineers will be attending the show and available for questions about EnVision as well as solar controllers and inverters. Morningstar’s application engineer, Doug Grubbs will conduct a presentation about the New ProStar Gen3 Controller and Off-grid System Monitoring at the MREA Energy Fair in Custer, WI on June 17th at 9:30am. Additionally, Morningstar will be exhibiting its full product line of off-grid controllers, inverters and accessories at Booth A31.